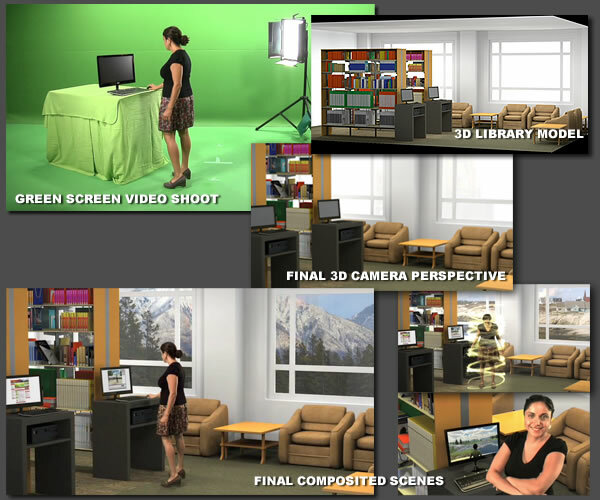 Client Work: Don composited a live action green screen shoot into a virtual library set. He modeled, textured and lit the 3D scene. At the live shoot he set up a light to correspond to the 3d model's outdoor lighting. He directed the actress to react to special effects which he comped in later.